IVG was founded in the United Kingdom in 2016 as a small side project by a law investment firm. It is unclear whether or not the creators of IVG foresaw the success that would quickly be enjoyed by the brand, but within months IVG was gaining traction and making waves in the vaping world. IVG juices are vaped by millions of people across the globe, with over sixty countries currently carrying their products. And with such an expansive array of delicious, convincing flavours to choose from, it really comes as no surprise that these Malaysian-style juices are becoming the standard from which other e-liquid manufactures follow. At Vapestore we’ve got an impressive collection of IVG and other sub ohm juices to choose from, so treat your tank to some tantalising taste-sensations! The IVG collection began with a humble offering of classic flavours inspired by fizzy and slushy summertime drinks. 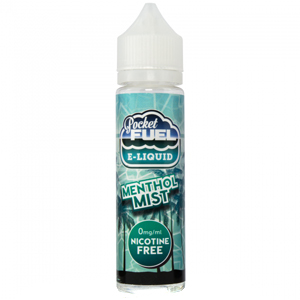 A tangy Blue Raspberry and crisp, refreshing Cola Ice received glowing reviews amongst vapers worldwide, with other top sellers from the line garnering similarly-excited reactions. Fantasy Orange perfectly mimicked the taste of fizzy orange poured over crushed ice, while Neon Lime drenched the taste buds in lashings of zesty lemon and tangy lime. The collection was finished perfectly with Purple Slush and its layers of black grape, lime and a hint of fruity bubble-gum. Summer Blaze finished the collection perfectly with its vibrant concoction of sparkling lemonade poured over apricots, peaches and citrus fruits. The IVG Classic range is so delightfully refreshing and flavourful you won’t want to relegate them to a strictly summertime vape. Rather, these juices are ideal any time of the year and are the perfect companion to your sub ohm setup. IVG’s sweet and dessert flavours are perhaps the most prominent of all their collections, and effortlessly capture the taste of bubble-gum Millions and timeless desserts in a huge array of flavour profiles. Their Millions-inspired sweets range includes juicy strawberry, invigorating spearmint, nostalgic bubble-gum and zingy cola bottles, as well as other assorted fruit and sherbet flavours. Vapers worldwide agree that the IVG Sweets range is extremely standalone, as this level of quality and deliciousness simply hasn’t been achieved by other e-liquid manufacturers so far. IVG’s dessert range is equally lusted after by sweet-toothed vapers as each juice bottles the taste of timeless desserts with unbelievable attention to detail. Cinnamon Dough tastes just like the real thing with warming cinnamon and fresh-baked pastry enveloping the senses with every inhale. The line also includes the equally-indulgent Apple Berry Crumble which features tangy apples baked until deliciously syrupy and sprinkled with buttery golden-brown crumbs. Are you a self-proclaimed chocoholic? Choco Haze Pancakes tastes like a stack of thick American-style pancakes drizzled with a generous helping of melted milk chocolate - ideal for shameless indulgence with none of the calories! IVG have recently added a collection of macaroon-inspired juices to their collection of sweet treats, mimicking the light texture of baked French macaroons stuffed with fruit and buttercream fillings. Choose from either Strawberries & Cream or tarte Raspberry for a spot of Parisian indulgence. 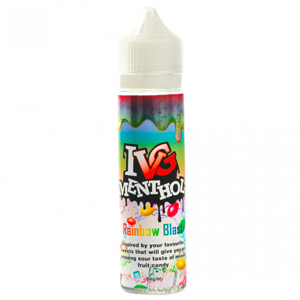 If you’ve not got much of a sweet tooth or you’re trying to kick traditional tobacco products but still want lashings of sub ohm flavour, then the IVG tobacco and menthol ranges are a perfect option for you. There’s Gold, Red or Silver variations available depending on how smooth or strong you like your tobacco, and a selection of fruit-inspired menthol flavours if you’re after something a bit more minty. Take your pick from kiwi, cherry, blueberry and mixed fruit menthol pairings for equal measures of mind-blowing flavour and moreish mintyness. IVG added another string to their bow with their delicious Nic Salt series which caters to high nicotine mouth-to-lung vapers and performs extremely well with kits such as Smoking Vapor’s MiPod with its handy refillable pods. 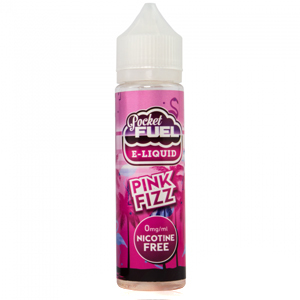 So far they’ve converted their phenomenally popular Bubble-gum and Blue Raspberry Millions juices to Nic Salt options so vapers of all types of kinds can enjoy these sumptuous concoctions whilst meeting their specific vaping needs.